If you suffer a whiplash injury in an accident that was due to no fault of yours, you may be entitled to claim whiplash compensation for the pain and suffering caused by the inflicted injuries. Whiplash injuries can range from mild to severe. According to the law you should be financially compensated for any type of whiplash injury, whether mild or severe, as long as it was caused due to anothers negligence. The severity of your injuries and the extent to which they have affected other aspects of your life will determine the amount of whiplash compensation you are entitled to. Understanding exactly what a whiplash injury is, how it occurs and how it can affect you are instrumental in understanding how whiplash compensation is calculated. Whiplash injury occurs when the tendons and ligaments of the neck extend beyond the normal range of motion in a sudden and abrupt motion. The sudden movement stretches the muscles and ligaments beyond their capacity, causing them to tear. Depending on the extent of the tear, the whiplash symptoms can be mild to severe. Massive tears in the ligaments can result in severe pain or even permanent disability. Although whiplash injuries can result from several causes including sports injuries, accidental falls, cycling accidents and physical abuse to mention a few, the most common cause is car accidents. A rear-end collision can result in a tremendous impact that can throw your head backward and forward suddenly with great force, tearing the tendons and ligaments in the neck which can cause severe whiplash injuries. In some cases, whiplash injury symptoms do not manifest immediately after the accident. They usually take about 6 to 12 hours to develop. Sometimes they may develop after 24 hours or even after a few days. If you have been in a car accident, you may not notice any inflammation or bruising at the time of the accident, which is why it is crucial to pay close attention to any unusual physical changes that you experience for the next few days after the accident. Other less common symptoms associated with long-term chronic whiplash include ringing in the ears, chronic pain in the neck, head or shoulders, problems with memory and concentration, inability to sleep well. Some people may experience chronic pain or headaches for years after their accident. A guide to whiplash compensation claims. What does it mean to get whiplash? No win no fee whiplash compensation claims. What types of circumstances can cause whiplash? What can I claim for after a whiplash injury? How much do you get for whiplash injury? Can you claim for whiplash as a passenger? How long does it take to get over whiplash? How long do you have to make a car insurance claim after an accident? Why choose us as your whiplash claim service? Are you ready to make a compensation claim for whiplash? What you can claim for in case of injury. How whiplash compensation is calculated. Whiplash is a very common injury. Especially in the case of vehicle accidents, either in a private car, or whilst riding on public transport such as a bus or coach, or whilst in a taxi. Because of this, compensation claims from people seeking damages for a whiplash injury are also very common. However, just because this type of claim is common, does not make it simple. So within this guide to making a whiplash compensation claim, we will cover all of the information you need to know before seeking damages. You will find below sections that explain what to do if you are involved in an accident that caused whiplash, what the first steps are that you should take, and how we can help you. You will also find information on the average compensation claims paid for whiplash and associated injuries. Whiplash is caused by the head accelerating forwards in a violent, unexpected manner. The natural reaction of the human body, in this case, is to try and stop this happening. What happens, is that we overcompensate, and the head springs backwards. Both the rapid forward movement and the over compensation for the head springing back into place can cause some serious injuries to the neck and back. Whiplash can be construed as any neck, spine back or even shoulder injury that was caused by this kind of rapid movement of the head. Most commonly, whiplash happens when a person is riding in a vehicle that as involved in an accident. The rapid deceleration of the car, bus, taxi or coach cases the whiplash motion to occur. Whiplash can be minor, just a slight sprain, and it can more severe, all the way up to a major injury. In the most extreme of all cases, causing paralysis due to significant damage to the spine. If you have recently been involved in an incident that was not your fault, that the result of which was that you have received a whiplash injury, then you probably already know that you may be able to sue the liable party for damages. What you might not know, is that it is highly likely that you will not need to pay the legal expenses of pursuing a damages claim from your own pocket. When we take on a case that we feel we have a very high probability of winning, we are able to work under a Conditional Fee Agreement (CFA). This kind of arrangement is also known as a No Win No Fee agreement. What this means for you, is that you don’t pay a thing to begin the process of suing for damages. And if we fail to win compensation on your behalf, you will not have to pay our fees. If we do win your case for you, we simply deduct our cost from the total amount you receive. We are legislated in this and are only allowed to charge as much as 25% of the total figure you are awarded. So you will always receive at least 75% of all damages you receive, and won’t have to pay us anything further. 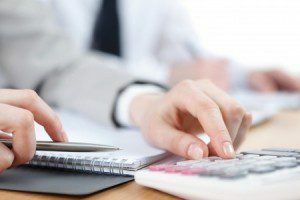 But it should be noted that in some types of cases, there might be an additional end of case fee to pay, and we will advise you of this if your case will require an end of case fee. If it does, we will offer you the option of taking about an inexpensive insurance that will cover this fee no matter what it is. Car accidents – when whiplash is caused when a private vehicle is involved in an accident. If the accident was not the fault of the person driving the car, a whiplash claim could be possible. Motorcycle accidents – less common than car accidents as a cause of whiplash, but if the accident was caused by a third party, it may be possible to claim damages. Bus accidents – in this case, it is very likely that the passenger suffering whiplash will be able to claim compensation from the firm operating the bus service. Taxi accidents – once again, just alike a bus accident, the victim of whiplash can likely claim compensation from the taxi driver or operator. Pedestrian accidents – a very common form of whiplash claims, as whiplash is an injury that many pedestrians who are hit by a moving vehicle suffer from, and a claim is likely possible. Other vehicle accidents – whenever you are involved in an accident whilst riding in a vehicle if you suffer whiplash through no fault of your own, you can likely sue for damages. Other road traffic accidents – a catch-all category, covering any type of road accident not covered above. Of course, there are many more ways that a person can be involved in an accident that results in whiplash. And not all of them are related to a road traffic accidents. But car accidents are by far the most common cause of whiplash. General damages – this type of compensation is paid solely for the injury itself. The physical damage the victim has suffered, and the pain they have had to endure, and may still be enduring. There is a U.K. legal framework in place that dictates certain minimum and maximum payouts based on the severity of the injury, more on this further down the page. Loss of earnings – if the person suffering from whiplash has had to take tom off from work, or even give up work altogether, then the compensation claimed for this will be under the loss of earnings category of damages. Note that this relates to current earnings, and future projected earnings if the whiplash injury is likely to be long-lasting or even permanent. Travel Expenses – every out of pocket cost that the victim has encountered due to travel based on the injury and the compensation claim. From having to pay for a minicab home from the hospital after the accident to travelling to visit the law firm representing your claim. Medical Expenses – if a medical expense has been encountered as a direct cost of the whiplash injury, then it can be claimed back as compensation. This might be immediate costs such as paying for emergency treatment. It may also be ongoing costs, such as the cost of medication and prescription charges to treat the injury now and in the future. Special damages – this is a complex category of damages. As the name implies, it is a catch-all container, designed to allow the legal system to award damages that are not mainstream. Examples of this could be the victim of whiplash having to stop operating their own business, causing the firm to fold. Or the loss of ability to maintain a position as a top amateur athlete with professional potential in a specific sport. Psychological trauma – here we cover all of the stress and worries of being involved in a both the accident itself that caused the whiplash, and also in pursuing a damages case. These are the basic types of compensation that the victim of an accident that resulted in a whiplash injury will likely claim damages for. However, there are others. If we feel that you are entitled to another form of damages as part of your compensation claim for whiplash that is not on this list, we will advise you of this during our fist initial free consultation session. One more thing to note is that it is possible for a representative of the accident victim to pursue a compensation claim for whiplash on their behalf. In cases where the injury has left the sufferer unable to instigate the process themselves. This is important to realise, as there are usually strict deadlines in place within which a claim must be made, you will find more information on this farther down the page. There is no average claim amount for whiplash. Mainly due to the fact that this type of injury can range from a little discomfort through to complete, irrecoverable paralysis from the neck down. So giving an indication of the total amount of damages a person might receive as a compensation award is far from simple. However, we will try and give some kind of indication of the various amounts that people might expect to receive after making a compensation claim for whiplash. A basic whiplash injury that causes discomfort for a few days, will typically be awarded £1,000 to £3,000 in compensation. A more severe case of whiplash with chronic symptoms and serious damage to the spine could pay as high as £100,000. Shoulder Injury Minor £350 - £6,700 Short-term restriction of movement of one arm or both arms and ongoing pain as result of the injury. Shoulder Injury Moderate £6,250 - £9,750 Limited movement of one arm or both arms as result of an injury which is expected to last for some time. Shoulder Injury Severe £9,500 - £37,00 Impaired movement or numbness of one arm or both arms as result of an injury which is expected to last into the long-term. Neck Injury Minor £1,800 - £ 6,200 Short-term damage to neck such as sprains and bruising. Neck Injury Moderate £29,600 - £42,300 Long-term damage to the neck restricting movement and causing pain as result of the injury. Neck Injury Severe £35,500 - £112, 450 Severe ongoing pain, impairment of movement, partial or full paralysis as result of the injury. Back Injury Minor £350 -£9,850 Temporary damage to the back, including sprains and bruising. Back Injury Moderate £30,750 - £8,750 Damage to back, with long-term ongoing pain and loss of function as result of the injury. Back Injury Severe £29,750 - £123,300 Loss of function, possibly including partial paralysis, expected to last into the long-term. If you have suffered a compound injury, where whiplash is just part of the problem, then you may be able to claim far more in damages than these values listed above. You will need to speak to us and explain your injury in full so that we can discern just what you might be able to claim in the way as compensation. When it comes to compensation amounts for loss of earning and special damages, then the situation will be unique to each and every case. We will evaluate your individual situation, and advise you on the damages you can expect to receive based on your own case. It is impossible to give general guidelines without this unique information relating to your accident. Compensation payouts for mental anguish and stress are also very had to predict. Everybody reacts to traumatic events in a different way. In some cases, if the psychological trauma caused by the accident are long lasting and life changing, the damages claimed could be considerable. Once again, we will always advise our clients of how much they should be claiming in this case. Pain in the neck, and a level of stiffness that can be construed as more severe than simple muscle fatigue. Increased level of pain when the neck is moved, causing the sufferer to attempt to keep their neck and head immobile as much as possible. Inability to move the neck across its full movement range due to pain and stiffness. Deep headaches, with a root at the bottom of the skull or top of the spine. Slight pain and tension in the shoulders and upper back region. These are the very basic symptoms of whiplash. If you are suffering from symptoms that are worse than these, as a result of an accident, you probably have a much more serious injury than whiplash. The simple answer here is yes. Both the passenger and driver of a vehicle may have cause to make a claim for compensation for whiplash caused by an accident that was the fault of a third party. Furthermore, the passenger of a vehicle may have cause to claim damages against the driver of the vehicle in certain circumstances, even if the accident was not the fault of the driver. Examples of this include the discovery that the driver was not fully licensed to drive the vehicle, or that the vehicle was not covered by adequate insurance. A compensation claim for whiplash in the case of a passenger is actually somewhat simpler than simpler than pushing a compensation case for the driver. This is because in many cases, the passenger can be seen as an innocent bystander, that cannot have caused the accident. The time it takes for a person to recover from whiplash is dependent upon many factors. Primarily of course, how severe the whiplash actually was. For mild cases of whiplash, full recovery usually occurs within a few days. On average though, a case of whiplash will last anything up to six weeks. But it should be noted that for around 30% of the people who suffer from a whiplash injury, they could have ongoing health issues such as neck pain and stiffness for up to ten years or more. For more serious cases of whiplash, that are complicated by additional injuries to the back, shoulders or spine, then full recovery could take much longer. Indeed, some people never recover fully from a serious whiplash related health problem. And in these cases, we would aim to seek damages to cover the obvious loss of earnings that this injury would cause. Because whiplash injury claims are so frequent, and in many cases, the claims themselves are made sometime after the accident occurred, when it has become difficult to prove medically that the injury occurred, then car insurance firms have changed their policies in recent tears. The law states that you have up to three years to claim compensation for whiplash and other personal injuries. However most firms of solicitors will accept cases no older than 2.5 years old due to their insurance cover. For children under the age of 18 they have up to the age of 21 to claim compensation. After this time, the insurance company will not entertain any claim for compensation for whiplash. The takeaway here is that if you need to claim for damages following an accident that results in a whiplash injury, you need to do it very quickly after the accident has happened. If you leave it too long to make your compensation claim, you may have missed your window. The longest part of the whiplash compensation claim process is actually reaching a settlement agreement with the party liable for paying damages. This is obviously a period of legal wrangling, consisting of offers and counter offers in many cases. This is exactly why we need proper legal representation to pursue a claim for whiplash compensation in the first place. The good news is, that once this period of legal negotiation has been completed, the time it takes to actually receive a compensation payout is quite short. In most cases, you can expect to be paid in full from 14 to 28 days after a settlement has been agreed. So whilst is impossible to give an overall indication of the time that the full end to end process for claiming damages after an accident causing whiplash, you can rest assured that once we have taken care of the legal side of things, we will expedite the actual payment as quickly as possible. Although whiplash compensation claims are one of the most common types of damages cases we see, we treat each new case on its merits. We know that regardless of the reason why you are claiming damages, it is a stressful event. Therefore, every person who comes to us to help them make a compensation claim for whiplash is treated with respect and understanding. We have heaps of experience in handling whiplash related damages claims, and we pass the expertise directly on to our clients. Put simply, we make the process of claiming compensation as streamlined and efficient as possible. We always aim to get you the most compensation we can, but we will never do anything to risk the success of your claim. And of course, if we are working for you under a No Win No Fee agreement, you have nothing to pay use unless we are successful in getting you awarded damages for your whiplash. Have you recently been involved in an accident that resulted in you suffering from whiplash? Even if it was only a mild case, you could still have an entirely valid reason to make a compensation claim if the accident was not your fault. If you are ready to make your claim, then contact us straight away. We will offer you an entirely free consultation, during which we will capture all of the key facts of the accidents and the details of your injury. We will then offer you the best advice we can, on how to move forward with your compensation claim. In almost every case, this is going to mean that we offer to take on your compensation claim for whiplash in a No Win No Fee arrangement. You don’t pay us anything as we pursue your case. And you won’t pay us anything unless we actually successfully secure damages for you. If we do win your case, then we will levy our fee at this time. We are legally bound to never charge more than 25% of the total amount of damages you receive. So you will always receive 75% of the money you are awarded, to spend exactly as you please. Whiplash injuries vary widely in the way they are caused and the symptoms that are manifested as well as the severity of the injuries and their effect on quality of life. Because of the uniqueness of each individual factor, there is no blanket compensation for all whiplash injuries. Each case is assessed individually and the compensation is awarded based on the cumulative effect of the individual factors. In addition, you are also entitled to claim for the cost of the treatment and loss of income from missing work due to your injury. Whiplash compensation claims are usually comprised of two components – general damages and special damages. General damages – General damage amounts are determined by the guidelines established by the Judicial Studies Board. These guidelines suggest the compensation that may be awarded for specific levels of whiplash related injuries. They take into account the nature and severity of the injury, complicating factors associated with the injury and the projected time for you to recover fully from the injuries. Minor injuries from which you are likely to recover within one year: You may be awarded damages that range from £1,000 to £2,500. Minor injury with a high likelihood of recovery within two years: The claim amount is limited to a minimum range of £2,500 to £4,250. Moderate injuries with an uncertain prognosis and the symptoms persist for more than 2 years: You can claim from £4,250 to £7,750. Severe injuries with little to no chance that you will make a full recovery and the pain and suffering are likely to continue indefinitely: You can claim from £7,750 to £13,750. All expenses related to medical treatment such as doctor’s fees, prescriptions, hospital stay if required and any specialised medical equipment. Cost of long-term rehabilitation such as physiotherapy sessions. Cost of travel to and from the hospital. Loss of income from not being able to go to work – this includes salary and other perks to the job such as bonuses. Expenses involves with making changes in the home such as installing a specialised shower area and stair lift among others. Cost of getting professional help or care while you are recovering. The total of both, general and special damages, will make up the total whiplash compensation amount that you may be able to claim for. When it comes to calculating compensation in case of whiplash injuries it is absolutely important to make sure you claim what you deserve and do not settle for anything less. Very often, the insurance company will rush to make a quick offer so that you can get the medical care you require. It may seem tempting to take what they offer, but this could be a mistake. Very rarely if ever will an insurance company offer you a fair amount. More often than not, the amount they are offering is nowhere near the amount you are entitled to. Moreover, once you accept their offer, you waive off your rights to claim for anything more at a later date so even if your injuries take a turn for the worse, you will not be able to claim more comprensation. Hiring a personal injury solicitor who specialises in whiplash compensation claims will give you a far better chance of getting fair compensation for your injuries. Experienced whiplash injury solicitors are more familiar with the various expenses that can be included in your claim and they will negotiate with the insurance company on your behalf and make sure that you get the maximum whiplashcompensation possible. Besides that they will almost certainly fight your case on a Conditional Fee basis, which means you only need to pay them if they win the case for you. These FAQs will help you better understand the many aspects of filing a claim for whiplash injury and calculating the compensation that is due to you. Each whiplash injury compensation claim is different and also, every insurance company responds differently. How long the entire process takes will depend on how complicated your case is and how the insurance company responds. Experienced UK solicitors who have filed similar claims before will be able to give you a better idea of how long your claim is likely to take. Do I need to hire a solicitor to file a claim for whiplash injury? It is not mandatory to hire a solicitor file your claim. However, it is highly recommended. A solicitor would have the expertise and experience necessary to put together a strong case that will give you a better chance of getting the compensation you deserve. Am I entitled to claim even if the whiplash injuries are mild? Yes, the law is very clear in this matter. As long as the accident was not your fault and you can provide a diagnosis of whiplash injury from a qualified doctor, you are entitled to be financially compensated for your pain and suffering. The amount you will receive by way of whiplash compensation will depend on the severity of your injuries. 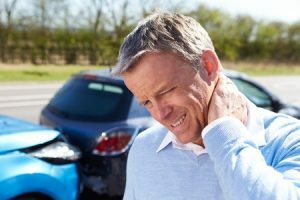 What is the compensation amount I can expect if I file a whiplash claim? There is no one fixed amount for all claims. Every claim is different in terms of the severity of the injury and the extent to which affects your life. The compensation you receive will depend on these two factors. Can I claim for all types of whiplash injuries even if they are not listed? You should be able to but there could sometimes be other factors that annul your rights. If you are unsure about your right to claim or any other legality involved, you must speak to a solicitor who can advise you as to your rights. Am I under any obligation to hire the solicitor that I get advice from? You are under no obligation whatsoever. Most solicitors offer a free first consultation that you can take advantage of. You can make appointments with more than one solicitor and get different opinions. You can then choose the solicitor who you feel most comfortable with. Do I have to pay the solicitor ’s fees at the outset? Most solicitor will first assess the merits of your claim. If you have a strong case they will almost always agree to represent you on a No Win No Fee basis, which means you only pay after they have won the case and you have received the compensation. There are no upfront fees involved for taking your whiplash compensation claim on. How Much Compensation Can I Can For Car Accident? Find out the compensation amounts for car accident injuries. How To Claim As A Passenger In A Car Accident? How Much Compensation Can I Claim? If you was a passenger in a car accident contact us today we will let you know if you can claim for passenger Accident Compensation. A whiplash injury is a type of neck injury that is usually caused be by road traffic accidents such as car accidents.